Step back into the post-apocalyptic Wasteland of Fallout ! This Fallout Vault Dweller Female Pop! Vinyl Figure #372 measures approximately 3 3/4-inches tall. Comes packaged in a window display box. Funko,Fallout,Pop! Vinyl Figures,Step back into the post-apocalyptic Wasteland of Fallout ! 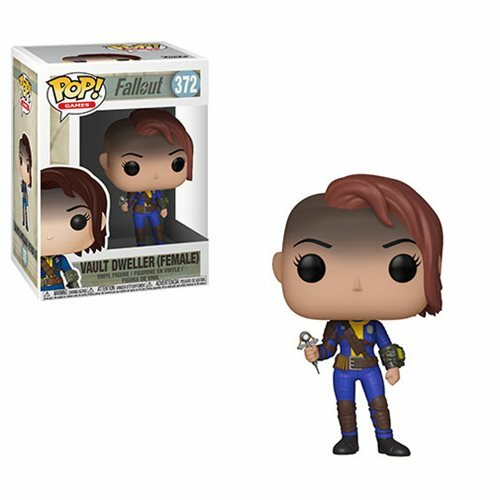 This Fallout Vault Dweller Female Pop! Vinyl Figure #372 measures approximately 3 3/4-inches tall. Comes packaged in a window display box. Fallout, Funko, Pop! Vinyl Figures, Step back into the post-apocalyptic Wasteland of Fallout ! This Fallout Vault Dweller Female Pop! Vinyl Figure #372 measures approximately 3 3/4-inches tall. Comes packaged in a window display box.